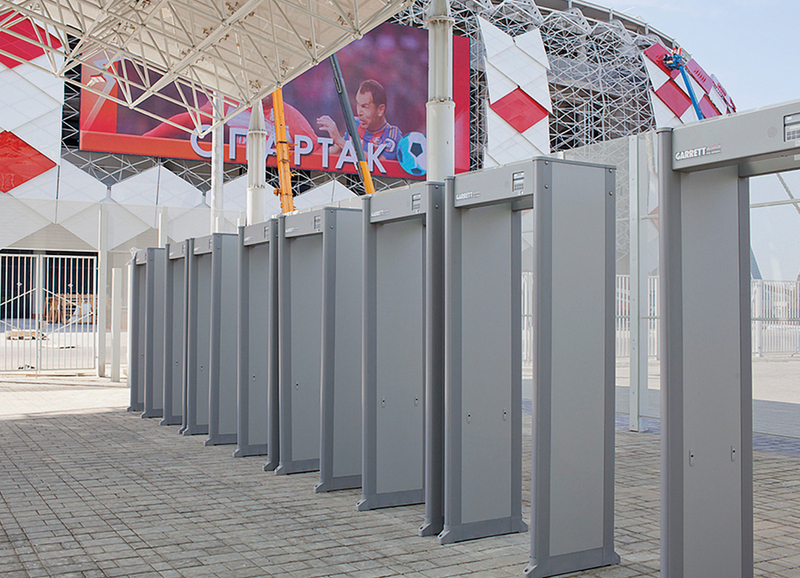 For any large venue or facility with the need for extra security, a walk-through metal detector is an invaluable tool. It allows security teams to ensure that nothing of consequence can enter or leave the building without it first being spotted by them. A walk-through metal detector can give governments, businesses, organizers, and everyone else the piece of mind that their facilities are safe and secure. With that in mind, it is important to take note of the two different types of walk-through metal detectors. 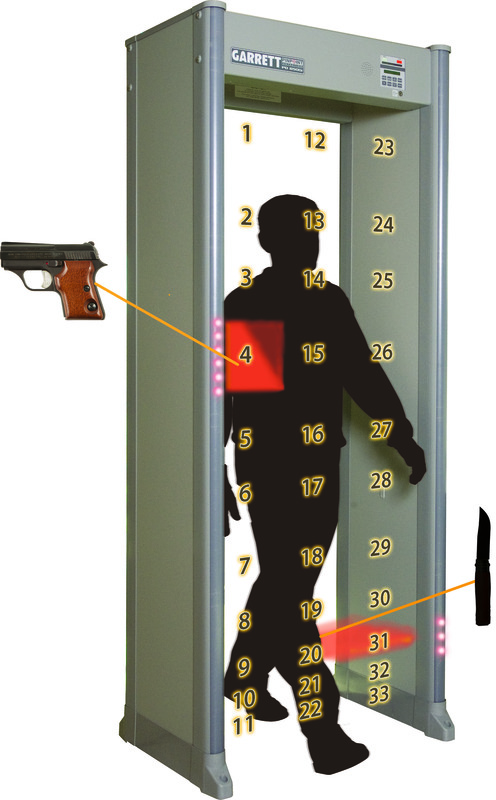 The first style of walk-through metal detectors provides a single zone detection meaning that it can detect targets in one place on the human body. The second style of walk-through metal detectors provide multiple zones of detection meaning that it can detect targets in more than one place on the human body. Both types of detectors will be able to locate the target but the multi-zone detector will be able to accurately identify the target's location. More advanced multi-zone metal detectors can pinpoint from head to toe and left to right on a person. Being able to accurately pinpoint the location of the target is important so that a security team can respond quickly and effectively. Larger crowds will require more through put and a multi-zone metal detector will let security teams be able to process individuals faster. Because they can move more people through security checkpoints faster, walk-through metal detectors are no longer just located in correctional facilities and airports. Today, walk-through metal detectors are found in police stations, schools, night clubs, government buildings, corporations, manufacturing facilities, nuclear facilities, transportation terminals, warehouses, courthouses, historic landmarks, arenas, and concerts. Some walk-through metal detectors are even light weight and portable so they can easily be moved from one place to another. Most modern walk-through metal detectors are easy to setup and operate. They come with a detailed instruction manual and a video to help security teams get setup more efficiently. Settings on these devices can be adjusted with just the push of a button through a touch pad and LCD display. Walk-through metal detectors come with factory preset program and can be adjusted to meet the needs of a specific location or type of object needing to be found. The detector can also be adjusted to locate a variety of target signals based on a chosen sensitivity level. Controlling traffic to the walk-through metal detector, by ensuring people make their way to the device, is important to a building's security. Security teams want to make sure that signs and line ropes guide people to the device. By having a basket or tray set up next to the walk-through metal detector, people can move through quicker thus allowing for a smoother line. It it's also a good idea to make sure individuals remove and place items such as watches, keys, coins, belts and any other large metal objects into the baskets so the device doesn't trigger a false positive. Walk-through metal detectors, in general, are a great screening device. After an individual has been identified having a concealed item, it is then necessary to utilize a metal detecting wand to accurately pinpoint its location. The wand will allow security personnel to find the item quickly and sometimes discreetly with either an audio, light, and/or vibration alert. Having a system in place like the walk-through metal detector is essential to a facility's security. They are easy to use and make security screenings more efficient as well as more affordable. Coupled with a metal detecting wand, the walk-through metal detector is a powerful tool in building and facility security. Click Here to See Our Selection of Walk-Through Security Metal Detectors!